Learn more about Belize and other countries in our daily postcard e-letter. Simply enter your email address below and we'll send you a FREE report - Belize: The Top English-Speaking Retirement Haven in the Caribbean. 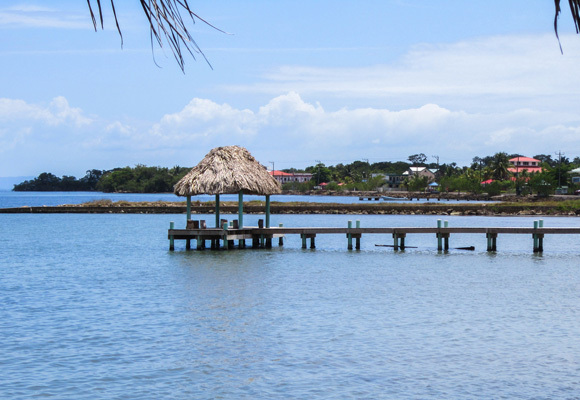 Punta Gorda, in the southernmost part of Belize, is best known for a robust Maya influence, great fishing, laidback lifestyle, and lush landscaping. Referred to throughout Belize as “PG” there are only a handful of tourist hotels in Punta Gorda, so it is still quite untouched by tourism. Typically, expats that settle here are looking for an authentic experience where they can truly live and connect with local people. With only about 5,000 people, and only a few hundred of these being expats, you will a small-town atmosphere here. 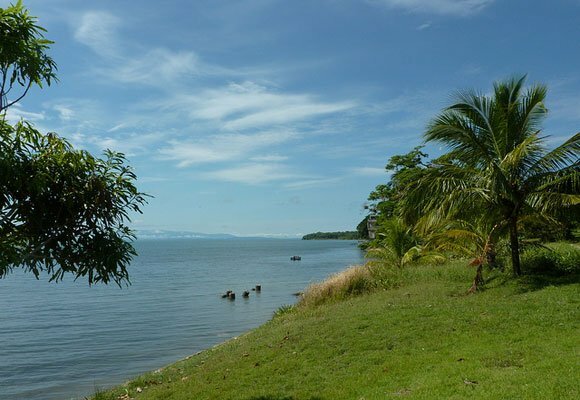 Located right on the Bay of Honduras and surrounded by jungle-like scenes Punta Gorda has a rustic charm and a laidback atmosphere. One of the great benefits of living here is that there is no need for a car as a bike will suffice. The lack of materialism and keep-up-with the Joneses is prevalent throughout Belize but especially here in Punta Gorda. The Toledo district is particularly rainy, so for those who enjoy a lush atmosphere with plenty of rainfall for a garden or small farm, this is ideal. The feel of the area is quite untouched, and you will see villages that appear to have not changed for centuries. For those looking for an off the beaten path way of life, this is just close enough and connected enough to be accessible to larger towns when needed, but years away from being a tourist hub on the level of nearby Placencia or Hopkins. With the availability of a small regional airport, traveling to major cities is both fast and easy. 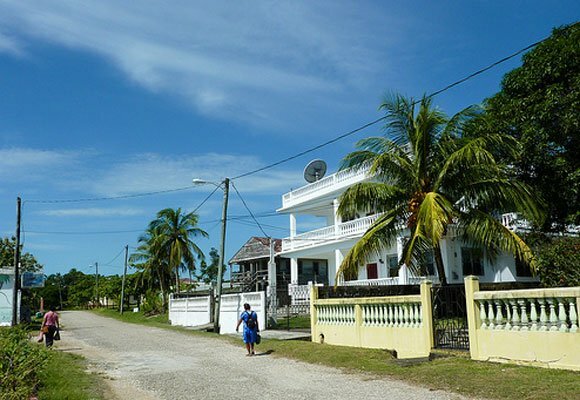 Most small towns in Belize run on Facebook and its where you can connect to everything that is happening, from local activities, and volunteer opportunities, to who is selling what. Punta Gorda has some surprisingly large and active groups that are a wealth of knowledge as well as an active Rotary Club. Expats here tend to congregate at the local market and small cafes and partake in leisure activities such as birding, kayaking, and fishing. As Punta Gorda is a very quiet place, many expats are involved in a great deal of volunteer work which keeps them busy. These opportunities are plentiful and allow a new resident to get immediately involved in the community. Like most places in Belize, you can certainly buy everything you need in town, with the exception of luxury or specialty items. Expats generally use Buy and Sell groups which are countrywide or in each community. In terms of healthcare there is a hospital and a healthcare clinic in Punta Gorda, but these are limited in their advanced care. For major issues, most people generally take a puddle jumper flight, and can be in Belize City in an hour where capable hospitals to be found. As Punta Gorda is a very accessible place for boaters, anyone who enjoys being on the water would do well here. You can be on the Caribbean Sea in minutes, or sail to Guatemala or find many kayaking opportunities on the bay, and endless nature experiences all around. For those that are not quite ready to retire, the draw of starting a small business in town a huge plus. As the population grows there are many business niches in town that need to be filled. Although life here is going to be mostly quiet, reserved, and tranquil, Belizeans know how to throw a party, and throughout the year, to shake up the routine, there’s plenty of fun, music, and dancing that comes with the various seasonal festivals. Garifuna celebrations take place every year in the form of a festival with drumming and theatrical performances, and the famous Chocolate Festival takes place in May. Located nearby are the Mayan ruins of Lubaantun, along with the Payne’s Creek National Park and Rio Blanco National Park, which are great for birding and waterfalls. If you want to get out and explore, you can drive two hours to Placencia, or be there on a puddle jumper in 15 minutes. A benefit of living in untouched Punta Gorda, is that it has the infrastructure needed to live in relative comfort but with inexpensive land and housing. And, Punta Gorda town, is a great example of a gem for those looking for a low cost, tranquil retirement haven. A two-bedroom, one-bathroom house, walking distance to town, can be found for just $69,000 Waterfront land is available for less the $3,000 per acre. Long-term rentals in Punta Gorda can be very hard to find though as there just isn’t the housing available. So, if you plan to long term rent, get invested in the online community and let it be known that you are looking. Using Airbnb is a temporary solution, so you can start your search and begin to make connections. The rental market however, is very reasonable. For example, a three-bedroom house, with sea views can be rented for around $600. Rentals are generally basic, but the lovely atmosphere and sea view more than makes up for that. Local markets offer fresh produce in a lively atmosphere at a low price. A retired couple could fill their fridge with fruits and vegetables for much less than in the U.S.
Prices can differ depending on where you live and how you live. Below is a sample monthly budget of a couple living in Punta Gorda, who own their own home.